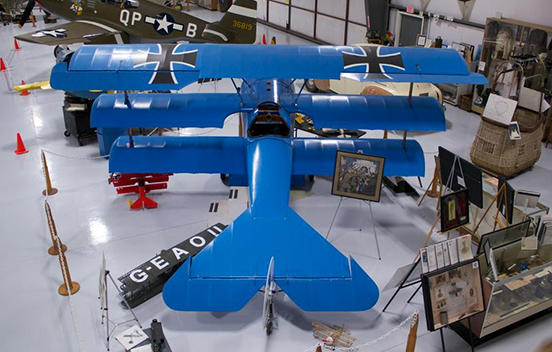 The Fokker DR-1 (DR standing for Dreidecker, or 3 wings) was arguably the most famous plane of World War I. This is probably because it was associated with the Red Baron. The Fokker DR-1 was 5.77m long, 2.95m high, and had a wingspan of 7.19m. The airframe was made out of steel tubing that was covered in aircraft doped canvas. When it was empty, it weighed 405kg. 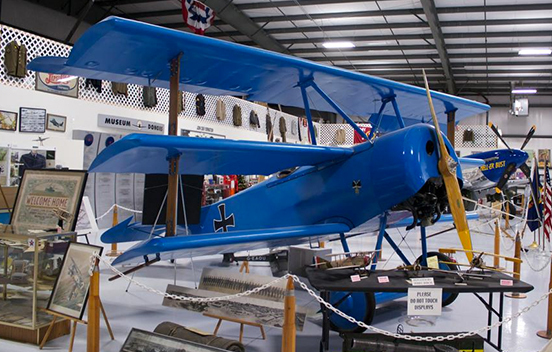 It had one 80kw engine and could fly a maximum speed of 185Km/H for a maximum time of 1 hour and 30 minutes at a maximum altitude of 14,000 ft.
Like most planes in World War I, the Fokker DR-1 had a rotary engine with the propeller bolted directly onto the engine, so that the engine and propeller rotated together. There was one open cockpit, which could hold one pilot, and it had two machine guns with an intercepting gear that was designed to fire bullets through the propeller arc without hitting the blades. 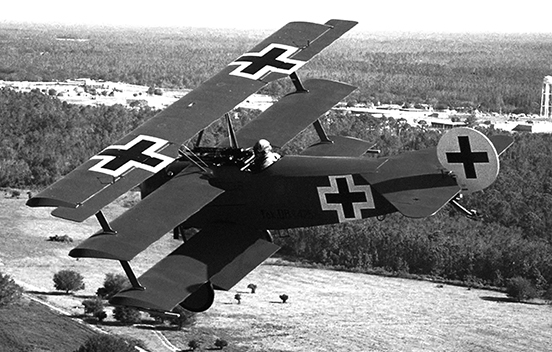 The Fokker DR-1 was a smaller plane compared to other planes of World War I, and it was not as fast as most planes. When it first came into service, the enemy thought it was just a joke, until pilots like Werner Voss showed what it could do in combat. Flying a prototype, Voss shot down 10 British aircraft in six days of aerial combat in September 1917. 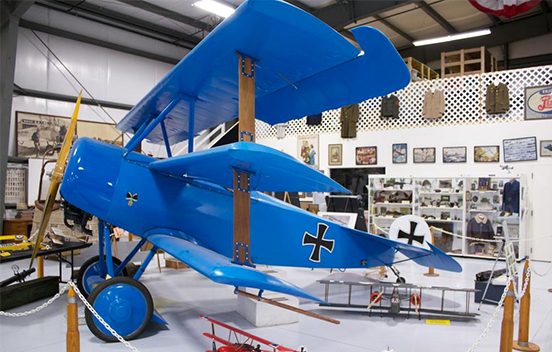 Only 320 Fokker DR-1’s were made in World War I, so there aren’t any around today except replicas.